Caption slip reads: "Photographer: Gray. Date: 1955-07-12. Reporter: Massard. Assignment: Rosenthal sculpture at Beverly Hilton Hotel. 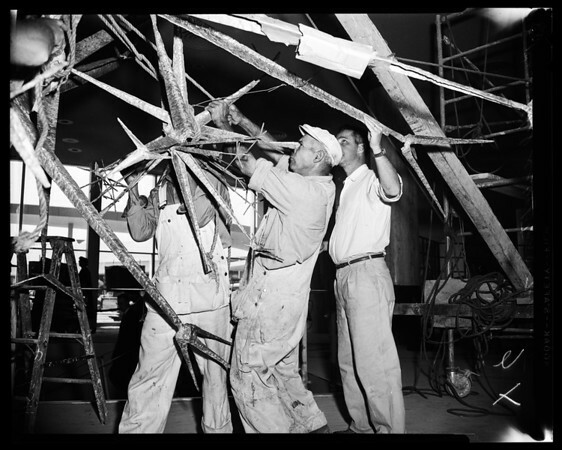 5/6: Sculptor Bernard Rosenthal helps in the mounting of his sculpture 'Starburst' at a building Beverly Hilton Hotel."